To help you find the top choices, we’ve listed some of the best mens leather bi fold & tri fold wallets for 2018 in this review article. Are you looking for a wallet that you can conveniently use and has innovative features that you cannot find in ordinary wallets? Nowadays, people are more selective when it comes to the choice of wallets especially when many are aware of risks like identity theft, stolen cards and personal information among many others. Going for either a bi-fold or a tri-fold RFID wallet costs more but it is definitely worth the money. Your choice as to whether you should go for a bifold or trifold wallet would actually depend on some factors. Featuring a slim design, this wallet gives you that very classic look that is aesthetically appealing. But it does not just end there. It may give you that sleek profile but it has a lot of capacity. The wallet is available in Java or Caramel RFID protection depending on your preference. If you are in a search of a wallet that you that can hold 5 to 12 cards as well as flat bills, the Bellroy RFID wallet is just the one for you. The wallet is made from top-grain leather that is very durable and not to mention eco-friendly. Not only does it have a very slim design, it is also a big capacity wallet that can hold almost all of your bills and cards. For security, it comes with RFID protection technology that will safeguard the personal details in your card. 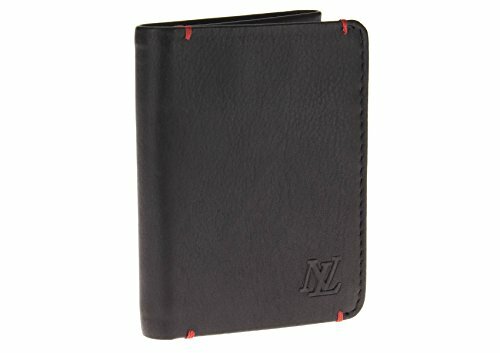 If you are looking for that classic bi-fold style wallet, this is one of the best choices that you can find out there. The Tumi Men’s Delta-L Fold ID Wallet might be tilting slightly on the expensive side but it is worth it with its features. Made from 100% pure leather, you have a very stylish and long lasting wallet that can last for a long period of time. A rectangular wallet with sizes 5’’ in height and 3’’ in width, it features edges that are tonal-stitched giving you a wallet that is built to last. The wallet comes with 1 ID Window and 10 card slots where you can easily put in all of your cards and bills. 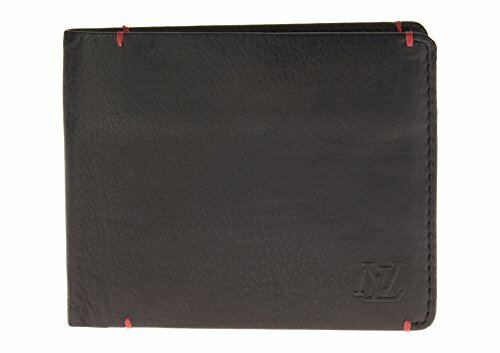 What you will like about the Tumi RFID wallet is that it is made from napa leather and its interiors are well made using red stitches and nylon spine. The wallet has I-fold where there is a specific bill compartment, card slots and id window and a tumi id lock feature that effectively protects personal information and data stored in credit cards and IDS. Elegantly packed in a gift box, the Tumi Men’s Delta L-Ford ID Wallet is also a nice gift choice for your loved one. Made from 100% leather, the Luciano Natazzi bifold wallet comes with 5 credit card slots, 2 slip pockets and 2 big interior pocket that can be used for currency. This wallet has enough capacity so you can easily put all of your valuable items like cards, flat bills and IDS. Since it is made from genuine leather, it can block any radio frequencies that are in IDs and credit cards. It uses RFID blocking technology for added safety and security. The wallet has a very slim design with soft leather which does not consume too much space. This is a nice looking wallet that gives you ease, something that you can easily put in your pocket without having to worry if it is bulky. 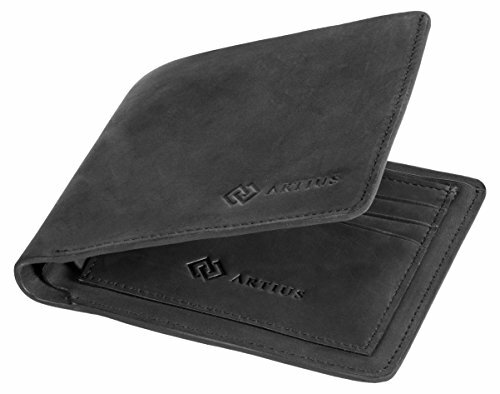 If you are looking for a luxurious looking wallet, the Artius Premium Luxury Wallet for Men might just be the one for you. This is different from the other bifold wallets as it is very stylish and comfortable. It has this fine craftsmanship that gives you that smoothness with the brand using Nubuck leather so you can be sure that it can last long. It features a mesh window where you can put your license or ID cards, 2 bill compartments where you can put your cash, other papers and business cards and it also has 5 slots for other cards. The capacity may not be as much as the other previous choices but it covers your basic needs. The Fossil Men’s RFID Blocking Derrick Block Fold Wallet is a classic piece that comes with modern functionality and details. 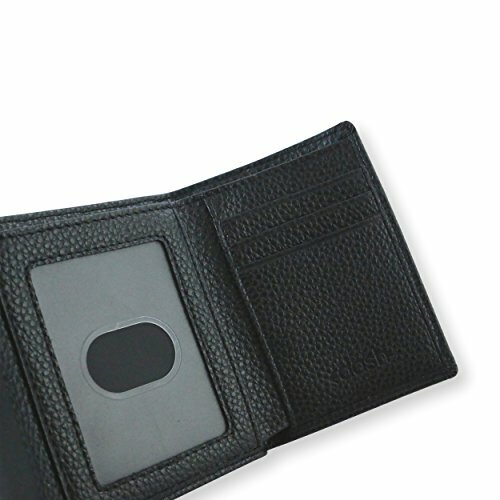 It is made from high quality leather so you get to have a wallet that is durable and soft. It comes with 2 in 1 slots and an ID pocket as well as special lining that will protect the RFID chips in your cards from any unwanted scanning. You get to have a wallet that is stylish and very functional. Coming in at our first pick for the tri fold wallet is the Luciano Natazzi Designer Men’s Nappa Leather RFID Blocking Slim Trifold Wallet. Very similar to it’s bi fold version that we mentioned above, this one of course being a trifold. It is 100%, leather and comes with RFID blocking, which is starting to become a must for wallets. The Id badge in the middle is a nice change, and has a great amount of space for a total of 6 cards. The red stitching on the top and bottom makes for a nicely added detail to the wallet. 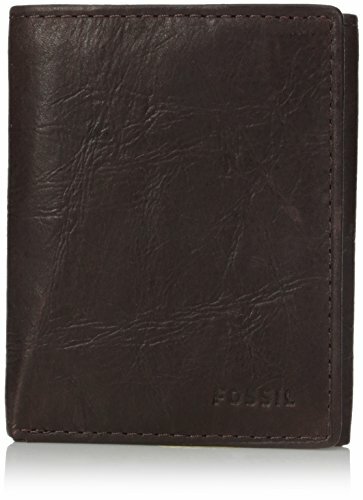 Fossil is renowned for its high quality products and if you are looking for a great choice of trifold wallet, the Fossil Men’s RFID Blocking Ingram Trifold Wallet is a nice choice. 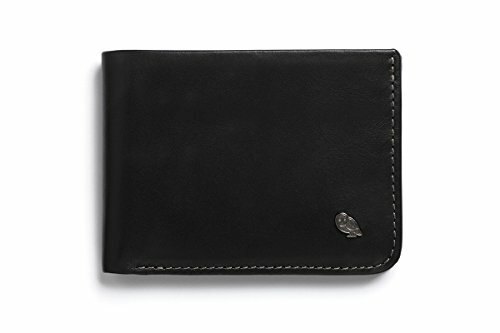 It is made from 100% leather so you have a really nice looking wallet that is soft and at the same durable. You know that when you buy this kind of wallet, it is something that will last. The wallet features distressed leather trifold that has tonal stitching. It comes with various card slots, a silhouette, smooth leather. What is nice with this wallet is that it has a special lining to protect the RFID chips in your cards. If you are looking for a more affordable option, you can go for the DASH Co. Slim TriFold RFID Men’s Wallet. This wallet has durable construction that features thin eco-canvas and oiled edges. It is a very organized and classic design that is slim and comes with 3 compartment system where you can put many cards, cash neat as well as ID window. There are also 2 additional pockets where you can store your cards and since it is super slim, the wallet fits easily. 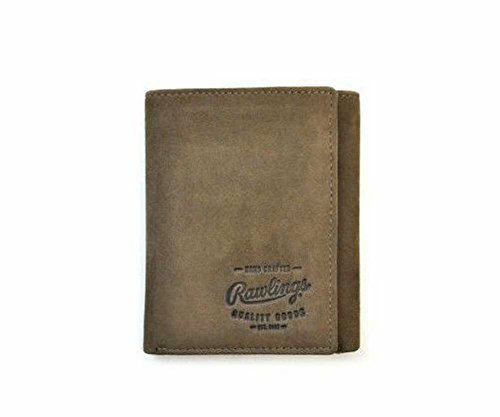 Another great choice in this list is the Rawlings Double Steal Trifold Wallet. 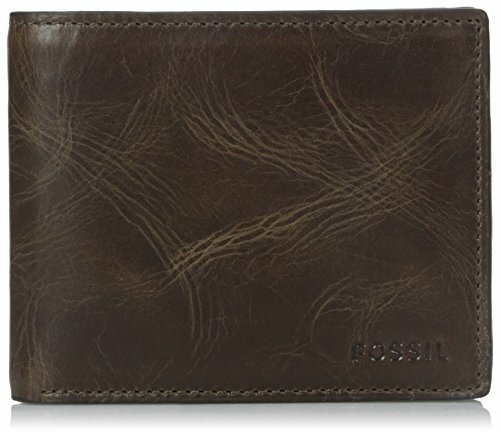 This wallet is made from distressed leather which give this vintage yet appealing look. It is a very stylish wallet that will surely fit your personal style. The wallet comes with 6 credit card slots which is enough to put your cards, mesh ID window and 2 slip pockets. What you will like about this wallet is that it has a really nice stitching. 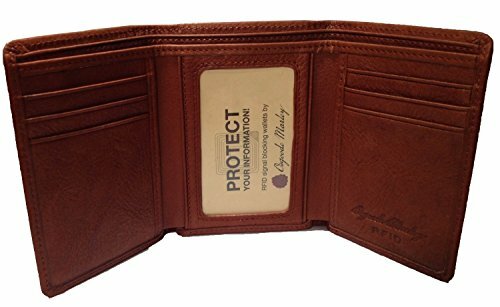 Available in different colors, the Osgoode Marley Rfid Trifold Brandy is made from premium leather from Argentina. This is also a very stylish wallet that has enough functionality. Since it is made from genuine cowhide leather, you can be sure that it can last. It features a bill compartment, 6 credit card slots, 2 slip pockets, right fold ID window and center ID window. With its RFID lining feature, it can protect your valuables against theft. Depending on your preference, you can choose among the different colors available. These are my picks for the what I think to be the top bi fold and tri fold mens wallets. I’ll continue to keep an eye out for newcomers which may change up this list in the future.